Finding and connecting with a new sitter can be time-consuming and challenging. Many parents will tell you that it feels like a daunting task at first, but it does get easier as you get comfortable with the process. 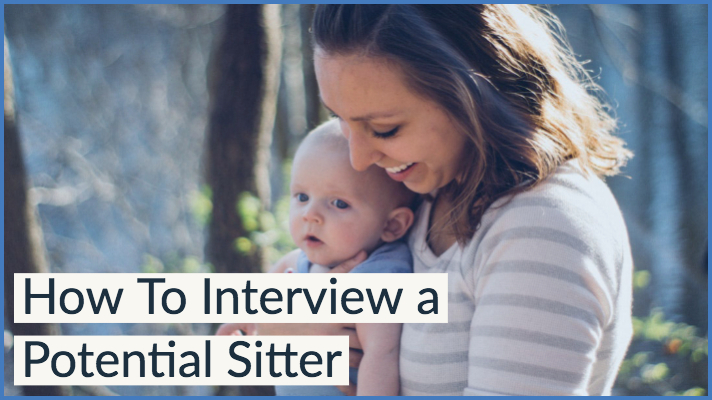 One of the best ways to improve your chances of finding a great sitter is to make sure you ask the right questions during the interview — questions that will quickly let you know if they will be a good fit for your family. Here are some questions that will help you start the interview process strong. 1. Tell me about yourself. – An open-ended question like this gives you a chance to get a sense of their personality and character. 2. What babysitting experience do you have? – Find out what ages they’re comfortable working with and how much experience they have. Before the interview, determine what level of experience you are most comfortable with. 3. Do you have any references? – A reference list means the sitter has confidently worked with other families in the past and has kept good relations with them as well. 5. What are your go-to activities when watching children? – This is a great opportunity to see if this sitter will be a good fit for your children and if their interests will align with your families. 6. How would you describe your discipline style? – This question creates a great opportunity to communicate your expectations for discipline in your household. 7. Do you have your own transportation? – If you need a sitter with their own reliable transportation, be sure to ask! 8. How would you handle a temper tantrum? – This can help gauge sympathy, temperament & creativity when dealing with tricky situations. 9. Are you comfortable cooking? Cleaning? Other? – Each sitter has different comfort levels in performing household tasks, and it’s great to learn more about their capabilities and special skills. 10. Do you have any questions for me? – Answer any questions they may have and keep the conversation going.